At some point, we’ve all watched a movie or television show and wished we lived in that house. However, some of that fantasy realty comes with a very real, and sometimes crazy, price tag. Check out what some of these classic on-screen homes cost in the real world. 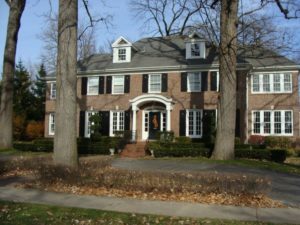 Best known as the setting of Kevin McCallister’s hijinks in the holiday classic ‘Home Alone,’ this 5 bedroom, 3.5 bathroom home is located in Winnetka, Illinois. The 4,243 square foot red brick, Georgian style residence features a fully converted attic, detached double garage, and a greenhouse. Unfortunately, the famous tree house was built just for production and was dismantled after filming ended. It most recently sold in 2012 for $1.585 million. While the exterior wasn’t featured, this 4,397 square foot Alhambra, California home played an important role in the 1991 version of ‘Father of the Bride.’ Both the extravagant wedding and heartwarming basketball scenes were shot here and, yes; it’s still the same basketball hoop where Steve Martin’s character played a game of one-on-one with his daughter. The home features 4 bedrooms, 4 bathrooms, a large formal dining room, and grand entry way. It was recently listed for a little under $2 million. Inspired by the beloved Pixar movie, the ‘Up’ house was built right here in Utah back in 2011. 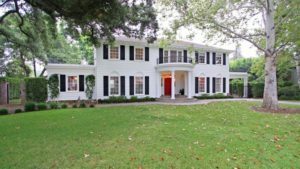 The 2,800 square foot home was purchased for $400,000 by a couple who had been searching for a home similar to the one in the film. The inside of the house is just as adorable, with décor reminiscent of the 1950’s. 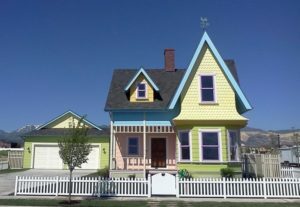 Fun fact: special permission had to be given by the neighborhood’s HOA to keep the classic pastel color palate. Whatever happened to predictability? 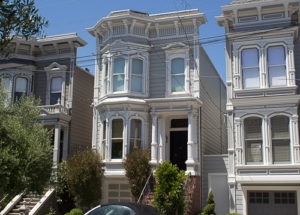 Thanks to Netflix, there has been a renewed interest in the Tanner’s famous San Francisco ‘Full(er)’ house. While you won’t be running into John Stamos or the Olsen twins, you will find 3 bedrooms, a ‘spacious floor plan,’ ‘soaring ceilings,’ and a ‘classically designed garden.’ Interested? Lucky for you, the 3,125 square-foot home is currently on the market for $4.15 million. Whoa baby! 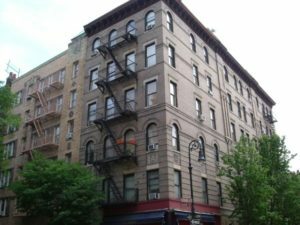 From 1994 to 2004, our favorite ‘Friends’ lived in this Greenwich Village apartment building on the west side of Lower Manhattan, New York. On the show, it was explained that the apartment had been inherited and was rent controlled. In reality, a two bedroom, one bathroom apartment with an open floor plan and outdoor terrace in this neighborhood would run anywhere from $4,500 to $5,500 a month. 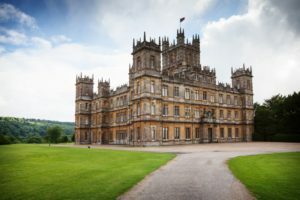 Have you ever dreamed what it would be like to live in your very own Downton Abbey? An Oxforshire, England estate, measuring at 24,000 square feet and 127 acres, similar to the one owned by the Crawley family, sold for nearly $52 million. On top of that, you will also need a staff (because of course you do) which can cost an additional $600,000 to $1 million per year. There is also the maintenance involved with a country estate which can quickly add up to an average of $100,000 a year. Even if that movie or TV home is a little (or a lot) out of reach, Cyprus can still help you get into your very own dream home. Check out our website for more information on mortgages or contact one of our experienced loan officers at (801) 260-7600 ext. 5340. If you'd like to get started on your home search, check out our free home finder tool.